Looking for a new ride? 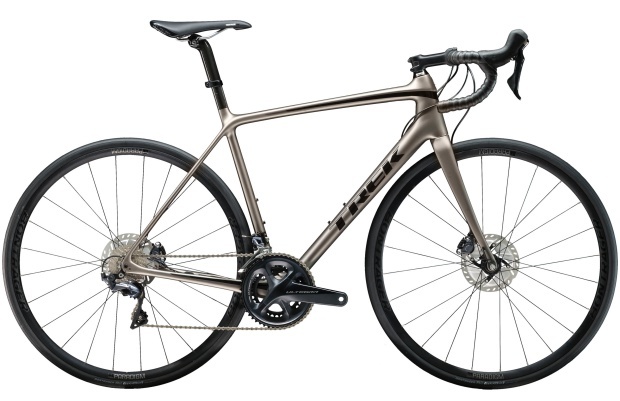 Check out Trek's best selection for 2019. The Slash 9.8 is like a mini DH bike: it has the capability of a downhill bike without the downhill weight. The RE:aktiv with Thru Shaft works faster than a normal shock, so it tracks the ground better and keeps you in control. The Slash is equally at home between the tape and in the rugged wild – yes, it’s a race bike, but also ridiculously fun on gnarly trail rides, too. That’s not all, Slash was also awarded Mountain Bike of the Year by Pinkbike. This bike’s adjustable Top Tube IsoSpeed lets you adjust compliance, and it’s damped with an elastomer so even when it’s in the most compliant setting, you won’t bounce on the road. The Disc brakes offer better braking performance and extra clearance for wider, more stable tyres. A separate bar and stem with an aero carbon faceplate gives you great adjustability without compromising on aerodynamics. The micro-adjust Madone seatmast has an integrated mount for the Bontrager Flare RT rear light. This bike wants to go fast! It’s built with no-nonsense, high-performance parts designed for flat-out speed. The TwistLoc simultaneously locks out front and rear shocks for climbs and sprints with the simple Grip Shift-like motion. The Wider Kovee Elite 30 wheels provide better tyre support letting you run lower pressure and get more traction. The Top Fuel 9.8 SL is also fully customisable through Project One. 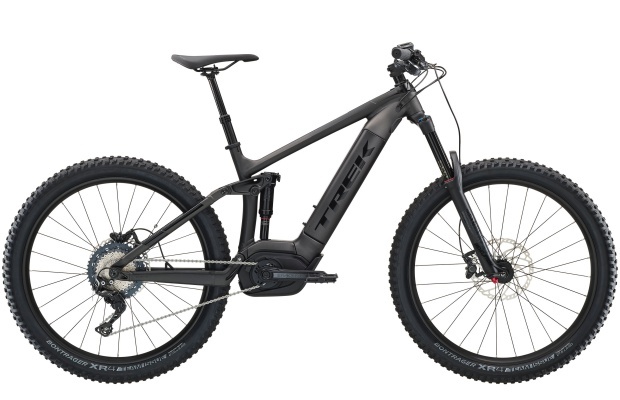 For e-MTB, full suspension is a game-changer: it soaks up rugged terrain, so you can ride the Bosch pedal-assist system to its full potential, and it rides like a mountain bike because it is one: the Powerfly FS 7 Plus has the same frame and suspension tech that Trek’s refined in all their trail heritage. When you power down the assist, you have a fully capable trail bike that’s ready to take on rugged terrain, and even when the trail gets rough, the wide 27.5+ tyres deliver more confidence, traction and stability. 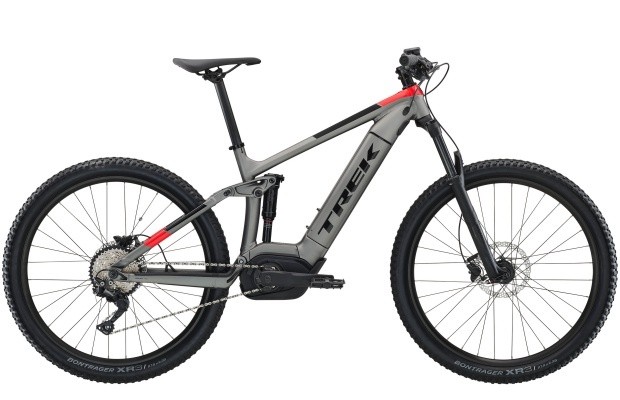 This bike is perfect if you want to bring more capability to your mountain biking in the form of a high-performance pedal-assist system. An e-bike can change your life and if you want the plush ride of a full suspension mountain bike that will stand up to more rugged and technical trails, the Powerfly FS 5 is for you! Émonda is leading the road disc revolution, proving that with the right engineering you can have both an ultra-light racing bike and all-weather stopping power! This bike is fully capable of taking on the biggest climbs, steepest descents, tightest turns and fastest sprints you can find. 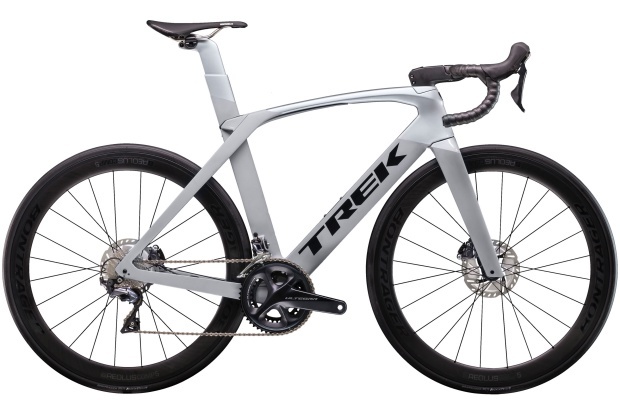 Like every Émonda, it’s built to be the lightest and fastest in its class and backed by Trek’s lifetime warranty. Road disc isn’t just for the big spenders – Émonda SL 6 Disc offers great price for the newest revolution in road bike design. The Fuel EX 7 is great for riders who aren’t just looking to do one kind of mountain biking, but who want to explore everything from XC marathons to epic descents. The dropper post upgrade makes this Fuel EX model even more capable – the NX Eagle 1×12 drivetrain gives you an extra-low climbing gear to tackle steep terrain, while the Wide Line Comp 30 wheels provide more tyre support, so you get better traction and control. 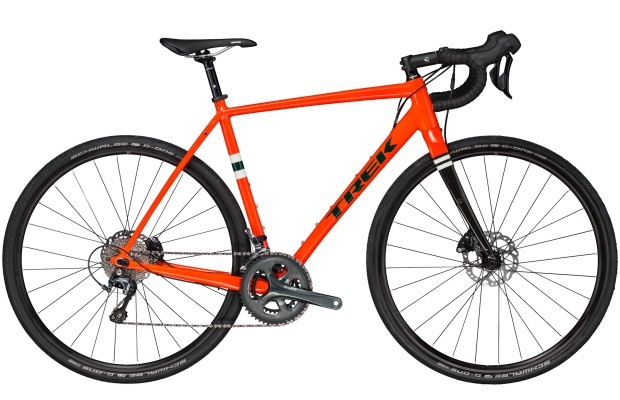 Looking for a single durable, ultra-versatile gravel bike that’s ready for adventure. Gravel? Check. Road? Check. Multi-day bikepacking? Check. Foul-weather commuting? Check. Check. Check. This bike makes it fun to be a better rider! Roscoe is so stable and forgiving, you’ll experience an an instant upgrade to your ability. Even when the trail gets rough, the wide 27.5×2.8˝ tyres can deliver confidence, traction and stability. The dropper post lets you lower your saddle on the fly so its out of the way on descents. The RockShox Solo Air fork can also easily be adjusted for a specific rider weight, and it’s lighter than a coil spring. The NX Eagle drivetrain gives you a wider range of gears for easier climbing in a simple 1x set-up. The Marlin 7 gives you all the value, plus all the versatility! 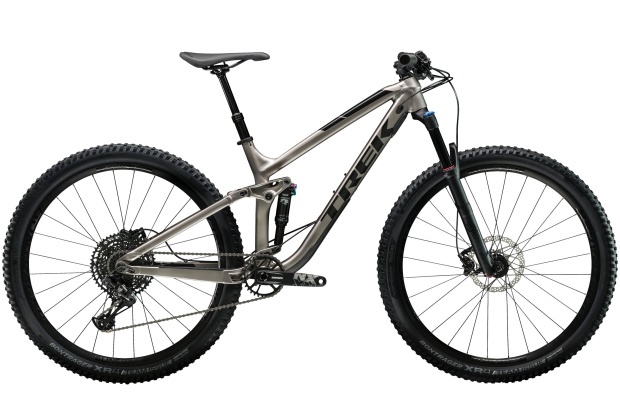 This is a race-worthy mountain bike, with rear rack mounts if you want to use it for commuting too. It’s fun to ride, and feels like a much more expensive mountain bike with great suspension at an even better price!